A free to play team building MMORPG Swords of Divinity allows players to star in a story driven adventure where they play the main protagonist, recruiting new Merc companions to join them in their adventure, equipping them with powerful items and training them up to take on more difficult content in PVE and PVP. The game is accessible through Facebook and doesn't require a client download to play. The main premise of the game is for players to build a character, recruit new Mercs to form a powerful battle team, defeat content and level up so that they can take on even more challenging and rewarding content. 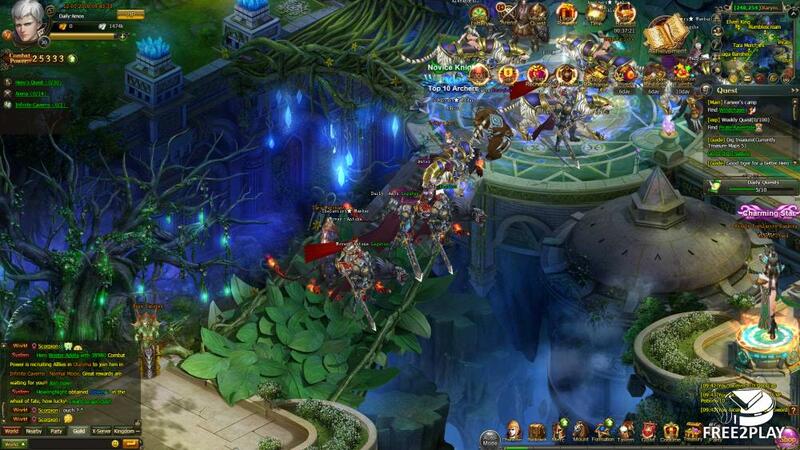 The primary strategy/gameplay elements come from trying to build a powerful team using various functions and features; recruiting different types of Merc companions that suit the player's playstyle, choosing from different formations that benefit different characters and tactics, upgrading gear and skills and generally trying to increase the team Combat Power. 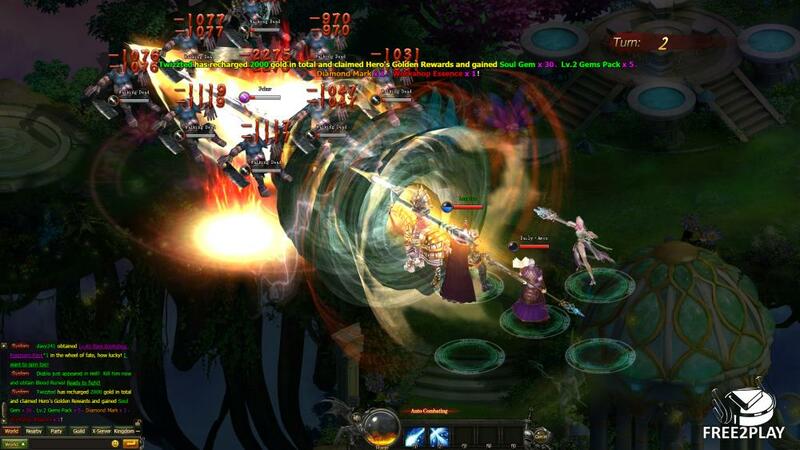 The actual combat in Swords of Divinity is relatively automated with players having little control over their characters when combat is initiated; instanced turn based battles where the player's and opponent's characters take it in turns to make their attacks on pre-determined targets based off their own abilities and their position in the team's battle formation. Battles last over a number of rounds until one team has had all its characters reduced to zero hitpoints. The Mercs that a player recruits make up the bulk of their battle formation; players can take a maximum of 4 Mercs with them into combat (new slots unlocking as a player levels up) and they can be placed into different battle formation patterns. Players start with one basic formation where each position is granted more generic/balanced boosts to certain stats; as players level up their formation tactics they unlock new formation patterns which focus on different playstyles and benefit different types of Merc/class. Mercs are recruited from the Tavern and come in four different rarities: Green (uncommon), Blue (common), Purple (rare) and Orange (Legendary), and require different alcoholic drinks to recruit them. With higher rarities come higher stats and improved skills, however, the Hero and their hired Mercs can all be upgraded in various ways, ranging from levelling up and Boosting to earn new skills and stat increases, to being equipped with weapons, armor and items that improve their attributes with the weapons themselves also being upgradeable and customizable. 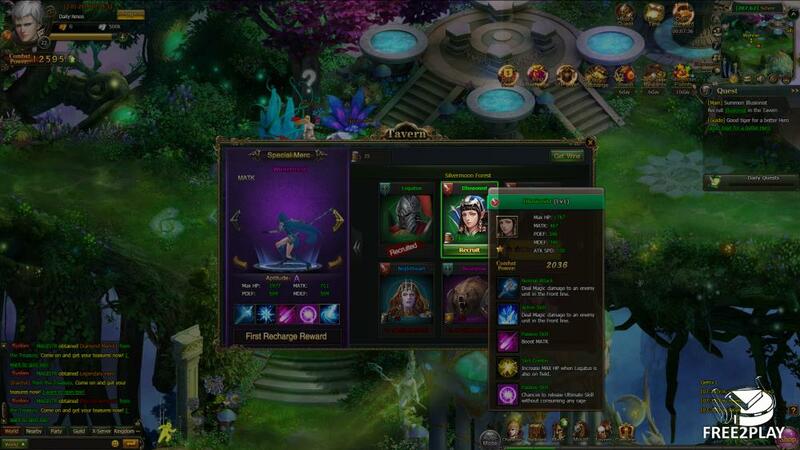 There is a wide selection of features available in the game to keep players occupied, new features are constantly unlocked as players level up, allowing for a steady introduction of new content. 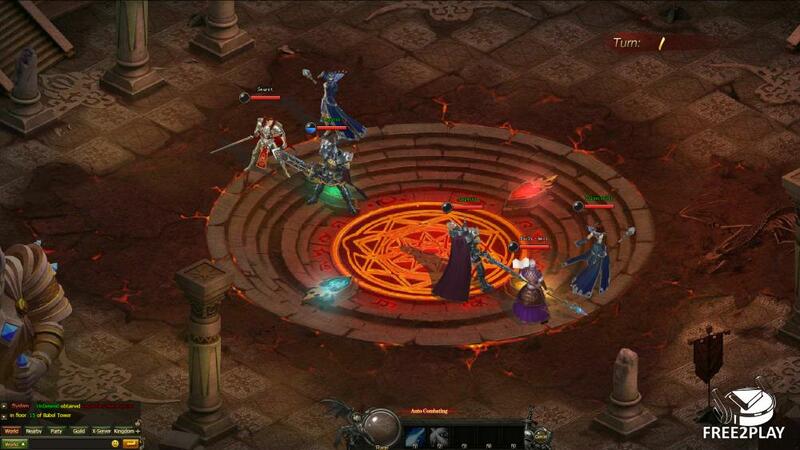 Primarily players will start with a quest orientated campaign where they learn more about the story, earn XP and items, and will slowly level up and gain access to other features such as the Hero's Quest dungeons; linear stages that are completed in order and grant higher rewards or the World Boss where they can fight to deal as much damage as possible for rewards. Alternatively players can concentrate on PVP, gearing their battle team towards defeating other players and climbing the rank ladder to earn prizes and rewards.